"In his legal defense, Jones will likely argue that the plaintiff-parents are limited-purpose public figures - that they have inserted themselves into the larger controversy around gun rights in the U.S. - and they should therefore have to prove that his statements about them were made with knowledge that they were false. True, many Sandy Hook parents became vocal participants in the anti-gun movement in the wake of the tragedy. Several have sued the maker of the gun used in the shooting. Others have organized online to try and prevent future similar attacks, and gone online to call for greater gun control. But making such individuals prove actual malice in their defamation suit against Jones – a much tougher standard to prove – would get the First Amendment backwards. It would stifle important responses to disastrous events in individuals’ private lives. It would encourage individuals to take the tragedies that happen to them and swallow them silently...."
Alex Jones, a well-known media personality, falsely claims you were an accomplice in faking the murder of your own child. It seems such a case should be easy to win, given the nature of those statements. But defamation law does not provide an equally easy answer. I am a legal scholar who studies the intersection between the First Amendment and online speech. A court battle now being fought illustrates the difficulties in winning such a case, and how current law needs modernizing in order to address the needs of the aggrieved and the ways we talk about public tragedies. Here’s the background: On Dec. 14, 2012, gunman Adam Lanza shot and killed 20 6- and 7-year-olds at the Sandy Hook Elementary School in Newtown, Connecticut. 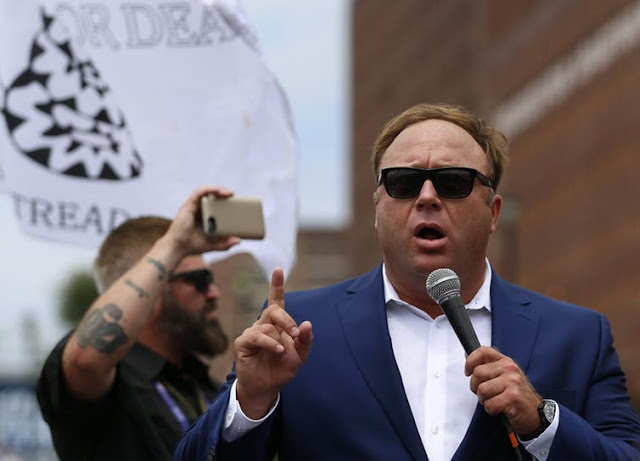 For several years afterward, Infowars host and conspiracy theorist Alex Jones questioned whether the shooting was faked by the Obama White House and co-conspirators in an effort to undermine gun rights in the United States. Among other statements, Jones claimed that the shooting was a “giant hoax,” was “staged” and had “inside job written all over it.” He claimed that traumatized families and students were “lying … actors” in front of a CNN blue screen during Anderson Cooper’s reporting from Connecticut. Jones compared the scene at the school to a Disney World hologram. Sandy Hook parents were also harassed online and in person as “hoaxers” and “crisis actors” by members of Jones’ audience. In 2017, a reporter on Jones’s show claimed that one of the Sandy Hook parents was lying when he said he held his son and saw a bullet hole in his son’s head, since the slain students were identified via photographs. In fact, the coroner released the victims’ bodies to their families for funeral purposes, so the parent’s claim was true. So this spring, several of the parents of children who died in the shooting at Sandy Hook sued Jones for defamation. For hundreds of years, the parents’ defamation claim would have been a simple one decided under state law. Jones’ false allegations that the parents lied would have been deemed harmful to the parents’ reputations; a jury would assume money damages were appropriate; and Jones would have had to pay. However, that changed in 1964 when the U.S. Supreme Court, in New York Times v. Sullivan, decided that the federal Constitution’s First Amendment required state courts to strike a different balance. Post-Sullivan, the First Amendment, which generally protects speakers from government interference, now had a significant role to play in defamation law, which has long given individuals the right to sue based on oral and written statements that harmed their reputation. In Sullivan, the court decided that where the plaintiff claiming she was defamed by a defendant’s statement was a “public official” – a politician or other high-level government officer – state defamation law had to be more lenient in order to protect the public’s right to vigorously discuss such people, even where statements in that discussion turn out to be false. The court carved out this leeway by changing the standard of proof that the public official plaintiff had to show as part of her defamation claim. Instead of simply showing that the defamatory statement was false, or showing that a reasonable speaker would have known the statement was false – which is the standard that still applies to private people in many states – the plaintiff had to show that the defendant either deliberately lied about her or seriously doubted the statement was true and said it anyway. In other words, by protecting individuals’ rights to speak freely about people in power, the court promoted the democratic process at the expense of possible harms to the reputations of public officials. Ten years later, in Gertz v. Welch, the court extended the actual malice standard to a new class of defamation plaintiffs. The court called them “limited-purpose public figures” – otherwise private people who had voluntarily inserted themselves into controversies that were the subject of public discussion. But what if a person didn’t choose to be a public figure? Should they still be treated as one when they sued a speaker for defamation? Count the families of the Sandy Hook dead among those rare involuntary public figures. As I’ve written before, the internet has changed defamation law in deep and meaningful ways. It has allowed prospective defamation plaintiffs to defend their reputations without resorting to lawsuits, by responding to stories about them online. Conversely, it has also helped authors correct disputed or false facts about story subjects more quickly and easily. But the internet has also undermined the court’s statement in Gertz that the problem of an involuntary limited-purpose public figure was unlikely to occur. By making public so much of daily life that was formerly private, the internet has made involuntary public figures out of many people who have suffered notable tragedies through no fault or risky behavior of their own. All of which brings us back to Alex Jones. In his legal defense, Jones will likely argue that the plaintiff-parents are limited-purpose public figures - that they have inserted themselves into the larger controversy around gun rights in the U.S. - and they should therefore have to prove that his statements about them were made with knowledge that they were false. 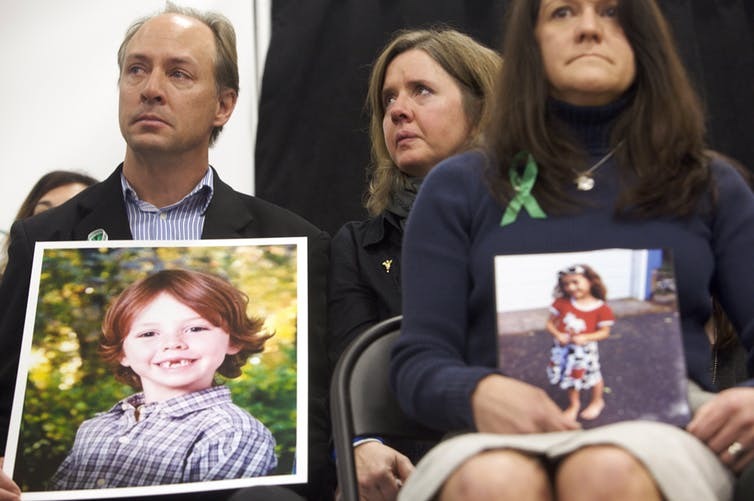 True, many Sandy Hook parents became vocal participants in the anti-gun movement in the wake of the tragedy. Several have sued the maker of the gun used in the shooting. Others have organized online to try and prevent future similar attacks, and gone online to call for greater gun control. But making such individuals prove actual malice in their defamation suit against Jones – a much tougher standard to prove – would get the First Amendment backwards. It would stifle important responses to disastrous events in individuals’ private lives. It would encourage individuals to take the tragedies that happen to them and swallow them silently. No one would have volunteered for the kind of attention that the Sandy Hook parents have received. But if a court were to find that they were public figures because of that attention, then future parents might not speak out at all, which would do significant harm to the marketplace of ideas that the First Amendment is intended to promote. Parents have the right to decide whether to grieve their children publicly or privately, and online or off. The degree of fault they might have to show in a defamation claim should not play any role in that decision.